Ride to Give: Help relieve Emma's CRPS pain. Ride To Give hasn't added a story. Imagine you were in pain, a constant never ending pain that felt like your body was on fire but you were freezing to the touch. The pain at times would feel like burning, stabbing, pins and needles under your skin. Imagine that this pain was so severe that it robbed you of your freedom, your movement, and ultimately your sanity, but when people looked at you, they might never know you were in such debilitating pain. Even though you felt swollen, your blood vessels and muscles ached with spasms, and you hadn’t had a good night’s sleep in months, you were forced to embrace the pain so you could live as normal of a life as possible. That is a tiny bit of what life is like for someone suffering from Complex regional pain syndrome (CRPS). Now imagine you are 12 years old and spend 100% of your time in that intense level of pain. Until the fall of 2014, Emma Harrington of Carlsbad, New Mexico lived the most amazing carefree life. She and her older sister Samantha are home-schooled, and Emma was able to spend most of her days tending to the family’s animals, riding and showing horses, excelling as a member of their local 4H program, and doing volunteer work locally. Emma was also an active member of her church community and very devoted to serving her Lord. On October 11th, 2014, Emma hit her left foot on the legs of a couch as she walked by, something that we all have done. Emma immediately began having intense pain and swelling, so her parents took her to the ER. They were told Emma’s foot was not broken but to consult an orthopedist. It took over four weeks and a call to the hospital's CEO to finally get an appointment with a foot specialist and an MRI. The MRI showed Emma had three non-displaced fractures in her left foot. Then the doctor gave the Harringtons the devastating news that there was something else going on in Emma's body. He said, “I would rather tell you your daughter has cancer than to tell you that more than likely she has CRPS,” and told them to immediately find Emma a CRPS pain specialist. In January of 2015, Emma was officially diagnosed with Complex regional pain syndrome (CRPS). Two weeks later she had her first epidural and nerve block. She continued to have pain and by her fourth epidural, the pain had spread up the left leg across the hips and lower back, and down her right leg. Since then the pain has spread to full body CRPS, affecting every aspect of Emma’s daily life. Also, with the CRPS comes other syndromes like POTS, Dysautonomia, and Gastroparesis, all of which are taking a toll on Emma. At this time, there is no cure for CRPS. Emma has seen many doctors and had many unsuccessful treatments. Emma’s mother Amanda has learned all she could about CRPS and discovered some CRPS sufferers were having success with ketamine infusions. There is growing evidence that ketamine infusions can help ease the symptoms of PTSD, depression and chronic pain disorders like CRPS and fibromyalgia. In December 2015, Emma traveled to San Antonio, Texas and received a 3-day ketamine infusion. Amazingly she was pain-free for the first time in over a year, but due to the aggressive nature of her CRPS, her pain relief only lasted five magical days. The pain of CRPS is a daily battle for Emma, and she has been wheelchair bound since the ketamine wore off. Her parents decided they want to return to Texas for a full 10-day infusion in hopes that it will stop her current CRPS flare-up and provide around 6 weeks of pain relief before Emma would need a maintenance dose. Unfortunately, most insurance companies do not pay for ketamine treatments for pain management and the cost for just the doctor’s time, medication and nursing staff is way out of their current budget. They even started a fundraiser on their own and have raised enough to cover their travel expenses but not the total cost of the treatment. The CRPS has taken over Emma's body, but the time has come to help her fight back! Please help Ride to Give get Emma to San Antonio so that she has the chance to see if the 10-day ketamine treatment will significantly reduce her pain or possible make her pain-free for more than just a few days. Please follow Emma's progress on Facebook here. Contributions are solicited with the understanding that the donee organization has complete discretion and control over the use of all donated funds. Questions about how your donation is used can be answered by clicking here. Ride To Give hasn't posted any updates yet. 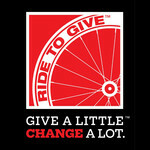 Ride To Give is managing the funds for this campaign.